Hamisa Mobetto lost her father nine years ago, she was raised by her mother Shufaa Litigunga. 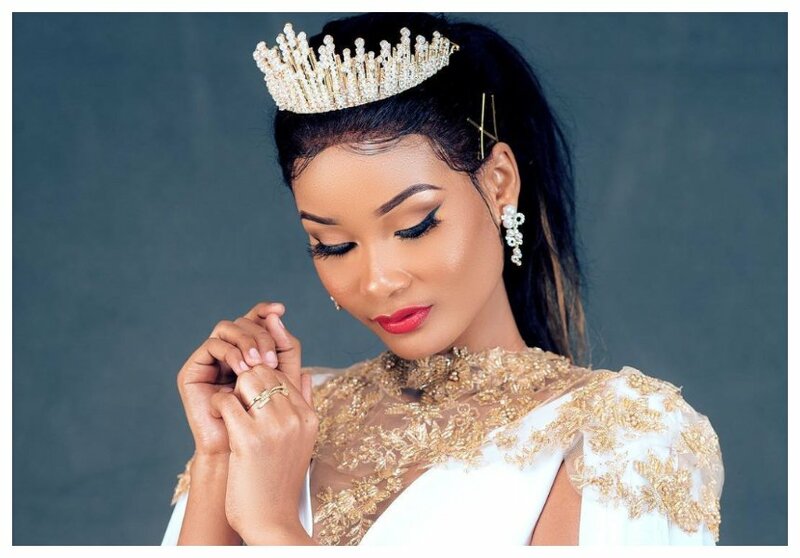 The Tanzanian fashionista never had siblings, her parents only had one child. 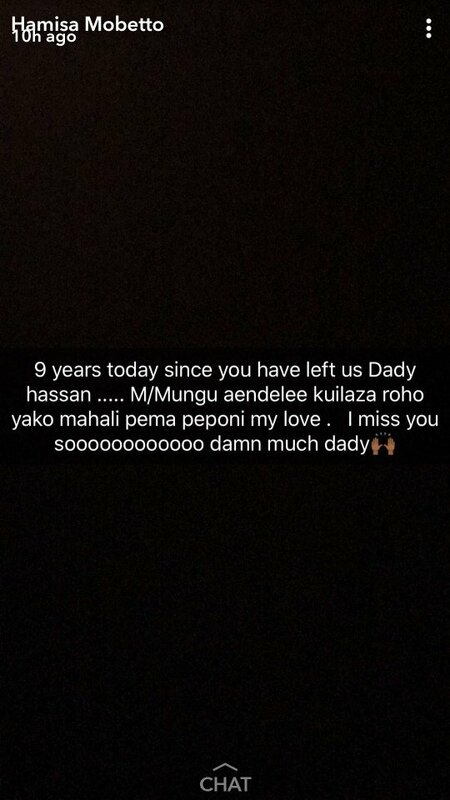 Hamisa first opened up about her father on Valentine’s Day 2018. She penned a heartfelt letter to her late father in a post on social media. “9 years today since you have left us Dady hassan …. M/Mungu aendelee kuilaza roho yako mahali pema peponi my love . I miss you sooooooooo damn much dady,” wrote Hamisa Mobetto. Hamisa Mobetto has the look of her late father. She recently shared an old photo of her dad and you could see that she bear a resemblance to him. 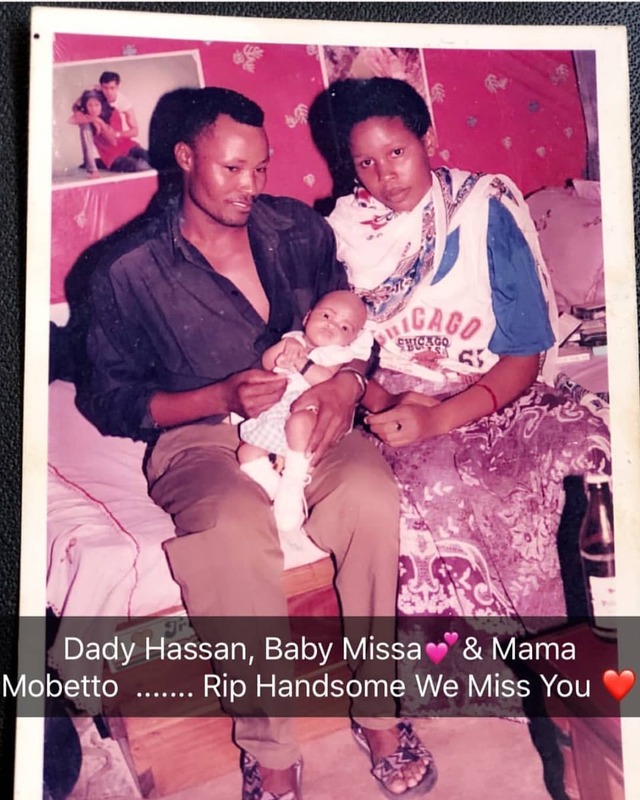 “Daddy Hassan, baby Missa and Mama Mobetto. Rip handsome we miss you,” she captioned the photo.